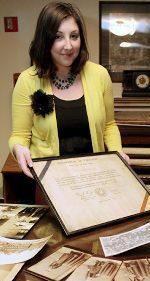 Today we bring you this interview with Marisa Berman, the Executive Director of the Queens Historical Society in Flushing, Queens. Marisa completed the MA program in Fashion & Textile Studies: History, Theory, and Museum Practice coursework in 2006 and submitted her thesis shortly after. Keren Ben-Horin: What was your academic or professional background, before attending FIT’s MA program ? Marisa Berman: I hold a B.A. in English Literature specializing in British and American Modernism from Marist College in Poughkeepsie, NY. I also hold a B.P.S. in Fashion Design from Marist as well. I was honored to receive the 2004 Silver Needle Award for Outstanding Collection for my senior project. KBH: What was the topic of your thesis? Is this topic something you continue to research? is it related to what you do today in any way? 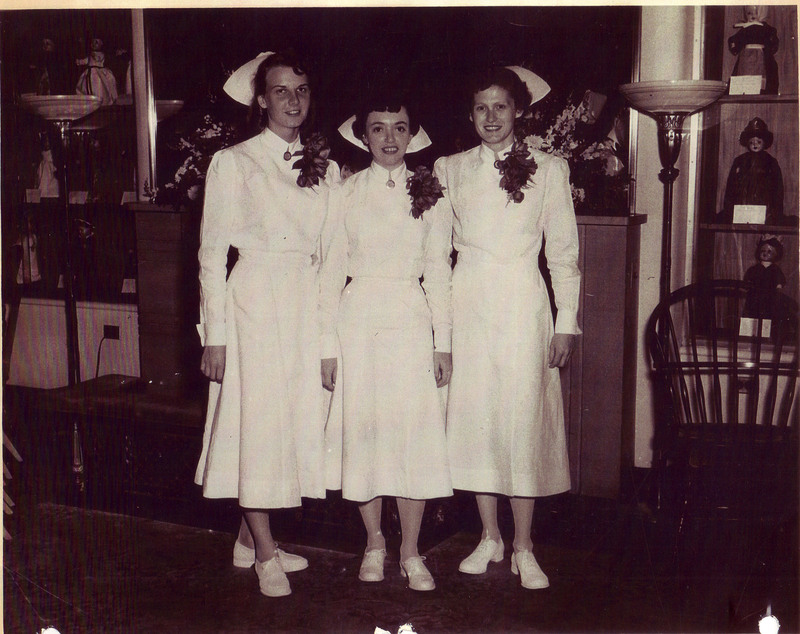 MB: My thesis was a study of the evolution of the American women’s nurse uniform in the 20th Century. I continue to research and gather materials related to my topic. I hope to one day add a few chapters to my thesis and have it published. This research topic definitely has connections into the work I do today and in the jobs I held after graduation. Many of the museums I have worked out have nurse uniforms in their collection, or other objects or images pertaining to medical history. KBH: Did you do any internships while at FIT? Do you think these experiences helped you to get to where you are today professionally? MB: I interned for the Nassau County Department of Parks, Recreation, and Museums on Long Island, NY. I began my internship, during the summer between my first and second year at FIT. I was very lucky that this internship evolved into a full time position that I held after I finished the program. This internship definitely led me to the position I hold today. I can’t stress enough how important internships and volunteering that pertain to your future career goals can be. Today when I interview potential employees or interns I always pay attention to their related experience, even if they weren’t necessarily paid positions. KBH: Please tell us about your current position and institution? What are your responsibilities? how did school prepared you for what you do today? 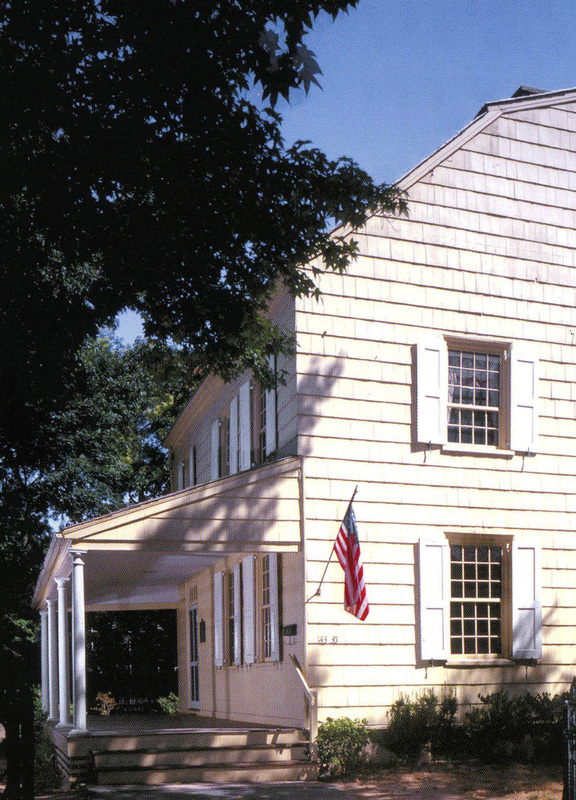 MB: I am Executive Director of the Queens Historical Society (QHS) located in the Historic Kingsland Homestead – NYC landmark and a member of the Historic House Trust of NYC. Here I am responsible for overseeing daily operations including: personnel supervision, exhibition development, fundraising & grant writing, and implementing publicity efforts – such as email marketing and bulk mailings. A large amount of time is spent developing programs for the general public, students, and families. Many events I developed were the result of establishing strong relationships in this field with authors, researchers, professors, and teaching artists. I have personally led numerous house/walking tours for all age groups, taught workshops and arts-in-education programs for elementary school and graduate students, as well as professional development for teachers. 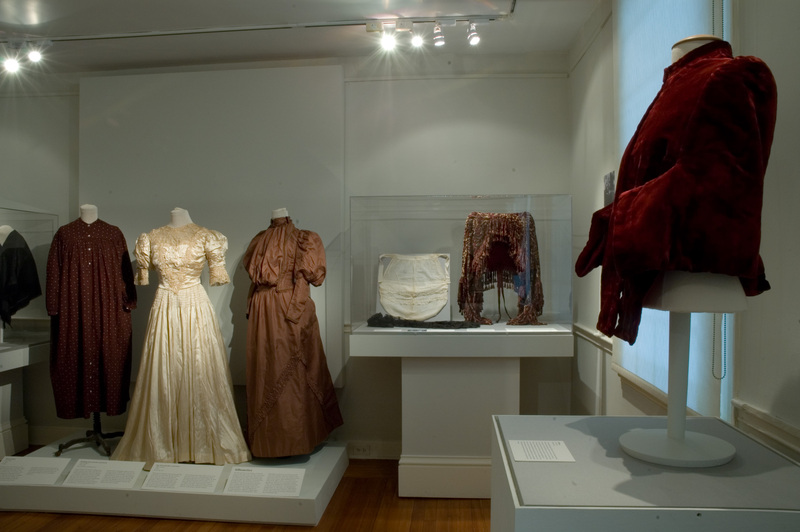 In 2009 I curated an exhibition highlighting the amazing costume collection at QHS, it was entitled – “Unraveling History: Using Textiles to Date the Past.” The program at FIT was helpful in so many ways to my success in this position. The ability to research and write concisely, to understand collections management practices and techniques, to work on tight deadlines, and of course the knowledge of fashion and textile history. Image from 2009 exhibition at QHS on fashion and textile history. KBH: Who are the people who use and visit your institution? MB: QHS attracts a wide audience of visitors each year – a mix of students, researchers, historians, authors, and the general public who are interested in the history of Queens – or just history in general. KBH:Lastly, what is your advice for students graduating from the program? MB: The best advice I can give students graduating from the program is to network as much as possible. Get on LinkedIn, keep your resume updated, make up business cards to distribute, and attend as many cultural events and lectures as possible. The job market for museum studies graduates is fairly grim right now, but there are positions available. Is there a dream institution you would like to work for? Get involved there. Attend their events, volunteer, make contacts – that is the way to secure an interview when a position opens up. And be sure to market the MA program in a way that suits each unique position you apply for. Sometimes I was concerned that our program was too specific and wouldn’t make me eligible for some of the jobs I was applying to. Just be sure to stress in your cover letter that this is a Historic Preservation program, and that you are knowable in all facets of Museum Studies but with the added benefit of a concentration in Fashion and Textile Studies. Our program is unique, and I think it definitely prepares us for future successful museum careers. QHS is a small institution and we rely heavily on the work done by volunteers and interns. We have interns each semester from various programs – both graduate and undergraduate. We are always looking for interns who have a focus in curating, collections management, museum education, and development. This entry was posted in interviews and tagged Marisa Berman, nurse uniform, Queens Historical Society. Bookmark the permalink. What an interesting thesis! When I performed in a local production of “Harvey”, I had the privilege of wearing an extant surplus nurse’s uniform from the 1940s. For some reason, it was in the costume rental stock of another local theater and just happened to fit me. I don’t think they have any idea what they have and it makes me sad, but it was a joy to step into that uniform for a few hours every night and give mental tribute to the women it was designed for.